Salamanders can be found in moist locations around the world including brooks, creeks and ponds. Some species live strictly in aquatic environments while others make nests on land. Where ever a salamander resides it has to be near a body of water for mating season. Female salamanders lay their eggs in the water, where the babies are born. North America is home to the largest amount of species of salamanders than anywhere else in the world. 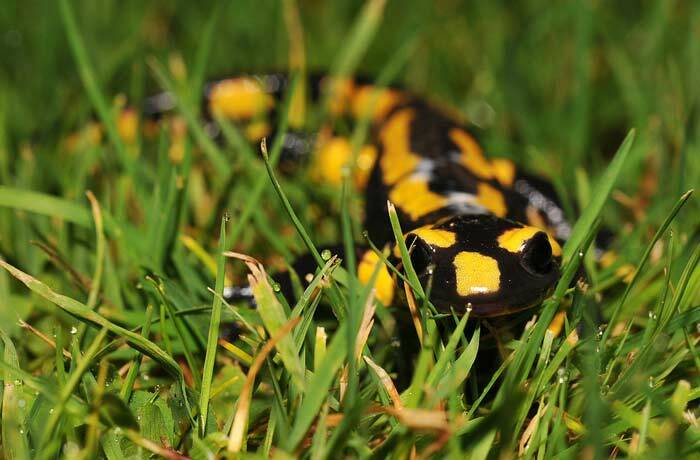 Salamanders are interesting creatures that and one distinct feature that differentiates them from other amphibians is their ability to regenerate. Salamanders can actually regenerate a number of limbs including legs, tails and toes. The regeneration process takes as little as a few weeks.